I have been a collector of Earthworm Jim since the early 90's. Growing up with the game, I am very fond of the game and the character. Earthworm Jim's development cycle was in fact very interesting as leaked images in magazines, compilations and documentaries on youtube; show that the games went through unique changes. EARTHWORM JIM 1 (1993-1994) - I am looking for ANY pre-released material of Earthworm Jim (Preferably SEGA GENESIS) mainly, because the game started off as a Genesis title and was ported to the SNES side by side. However, prototypes,test versions, and early review copies of EWJ are very few, so I won't be too picky if all that is available is Super Nintendo! I know DREAMTR had some protos of Earthworm Jim in the past, but I have no idea whether or not they were sold. EARTHWORM JIM 2 (1994-1995) - Surprisingly enough there have been a few findings of Jim 2 prototypes over the past years. Unfortunately I have no idea who may have them or if there are any differences between the versions. EARTHWORM JIM: SPECIAL EDITION (1994-1995) - YEP! I didn't realize there were any prototypes, but lo and behold, I do own a test version CD. If anyone happens to own any Shiny Test Versions 1-19, please let me know! MISCELLANEOUS ITEMS - Not really my largest concern, but if anyone has any T-shirts, Cel-Animation from the cartoon, or any other rare Earthworm Jim items, I would be interested! Thanks! vexatious and BLUamnEsiac like this. I believe there was a Gamesmaster Special Edition SNES prototype for sale on ebay not too long ago (within the past few years). I didn't save the photo. There's a prototype with the same name out there for download already. I think the EWJ2 proto you listed has since been purchased from DreamTR and then later sold on. Anything interesting in the EWJ test disc? So far there are 2 dumped beta/prototypes for both Earthworm Jim 1 and 2. The Game Master Special Edition and a late SNES Earthworm Jim 2 beta that needs to be redumped due to messed up graphics. The test disc is close to the final. subtle changes at most. I sure hope someone has some prototypes of Earthworm Jim. 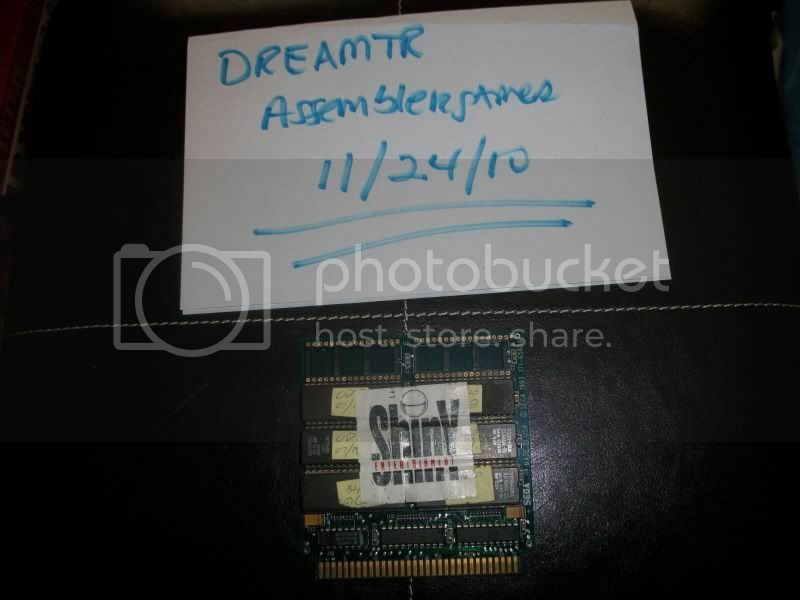 They are extremely hard to find and any real leads I have found in the past were from DreamTR and ebay sellers. I had some connections with a press worker that worked with Shiny, but this was his only Earthworm Jim related prototype he had. There's a SNES beta for Earthworm Jim 2 floating around online. It doesn't seem to work though, it just freezes at the level name screen. Do you know anything about it? I've always been curious about it and as far as I know it hasn't really been talked about much. *Beginning music overlays Jim's accordion! 1. Continue sign is the original genesis silly text version, no funky, still says Groovy! 2. Some of Jim's sprites are not completely edited from the genesis version and still has the gun present. Positioning errors too when hanging and shooting. 3. Lorenzo's soil you can use other weapons, not just plain blaster. 4. Ground in Lorenzo's soil is not completely solid, the dirt does not change in real time, Jim must come back to the area to see changes. This can also mean falling through the level and dying. Happened to me in the playthrough XD! 6. Grabbing a ledge is weird in lorenzo's soil, you have to make sure you are moving into the ledge or it won't detect Jim. 7. Puppy Love levels 1 and 2 are glitched up, the tiles are all wrong. 8. Villi People - colors of the Pinball objects are messed up. There is a new symbol which is a π symbol. 9. Flyin' King is much easier as there are no snot waves trying to push your balloon back or to hurt Jim. There is also a weird filter in the game for whatever reason. No health is displayed, just Jim's head. 10. Udderly Abducted - Nothing I could notice, please refer to the video if I forgot anything. 11. Inflated Head - Another level that is pretty much complete. I didn't notice any changes. 12. Iso 9000 is renamed Iso 9660. Gravity can glitch out in this level making it unbeatable. If there are too many assets or enemies on the screen at once, the game will act jittery. 13. Puppy Love Part 3 is the most complete out of all the Puppy Love stages. 14. Level Ate - Totally Forked secret has messed up gravity. Impossible to beat, because one jump ledge causes Jim to forever switch to climbing animation unless you break free or die. Game assets can glitch out Jim's animation if Jim is shooting multiple directions and then gets hurt by an enemy, Life count disappears, and Jim is a glitchy mess. - Flamin' Yawn's position is offset when he dives down at you making it much harder to hurt him. Shooting diagonal down fixes this. 15. See Jim Run, Run Jim Run! - Renamed "Cathedral". Mostly completed, except it is completely missing Psy-Crow! Easiest and most anti-climatic ending level yet! XD Princess What's Her Name is not sitting on her throne, instead she is floating! 3 Plasma Blasters are visible, in the final they were hidden behind a pillar. If I missed anything else from the videos, please just refer to them! Thanks! Anyone found any leads or have Earthworm Jim prototypes/pre-released material. Please PM me! I'm the one who owned that EWJ2 prototype you have pictured for Genesis. It was pretty much exactly the same as the dumped SNES beta you can find on the web. I sold the cart to someone else already since it wasn't as early as I was hoping. Just FYI, that EWJ1 proto that DreamTR was selling was dated July something, which is one month before the final release date date in June. It very likely was either the final or had very few differences to be anything interesting. Have you asked him if he has it still? He did around two years ago or so, anyway. Thanks for the heads up man! When I posted that image, it was mainly an example of what the protos may look like. I believe I read your post about the proto you bought. Was that proto the one that had a few pencil test gun designs (needed to be colored) and had a higher quality Jim picture on the title screen? I have pm'ed DreamTR but he hasn't replied back. The only other person I know on this forum that may own another proto of Jim1 or Jim 2 is ExplodedHamster. However, I haven't gotten any luck with him either. I appreciate you replying as it has been a quest of mine to track down Earthworm Jim prototypes. While a game called Armikrog was being developed, original animation director Mike Dietz, explained that the cut levels were a test to see what the systems could do and a freedom to create for the artists and programmers. It looks like the cut levels were actually very early concepts of both "For Pete's Sake and Intestinal Distress." What's interesting though was that in the making of EWJ documentary, there were both versions of the cut levels. The only disappointing part is that Mike had stated that they may have been lost when the machines at the studio were wiped out. There was a secret forum that people who backed 5 dollars would have access to it. That forum is closed now unfortunately. I'm hoping there were at least tests/protos saved. It would be very sad if it was lost forever. If you run into any leads, please let me know Bramsworth! I'd really appreciate the help! First I've heard of a secret forum. You're talking about back in the day during EWJ's development, right? I'd bet he was referring to either a Usenet board or an FTP used to put the latest dev builds for testing on, maybe for Shiny's Q&A department? If I ever found anything I wouldn't hesitate in sharing the ROM and then probably selling the cart. Not too attached to keeping protos anymore these days. Sounds like a plan man! Yeah that most likely was their method back in the day. Just hoping something happens. Earthworm Jim pre-released material are very hard to come by. All about being in the right place and the right time. Honestly I was very upset when I heard they cancelled it. A lot of things happened behind the scenes of its development. Interplay already had issues with Fall Out and then the Shiny Team and Doug left the project after a falling out. Sure the game needed some polish and the animations and squash and stretch could have been better. But I really liked where there were heading with it. New mechanics, levels, story and more. It is shame that Jim hasn't exactly gotten an ace in the gaming industry. Jim HD isn't exactly the best either (not hating) just saying I wish they had contacted the original team or something. No guarantee that builds were on UMD. Unfortunately so. All in theory of course. My main focus are the original 2 games and special edition. I'm trying to either collect them or get as much info on them as I can. Do you have any leads or know anyone that might own any ewj protos? Yep, it has another file to it which lets you play the full game. I have a playlist on youtube of me playing the entire game. Interesting. Too bad the build wasn't earlier, but a near final beta is better than no beta. Udderly Abducted was also one of my favorite levels. The premise of the level is really bizarre, but then so is the rest of the game I suppose. It's such a creative and fun game. Maybe you've already tried, but what about contacting any of the developers that worked on the game? Doug TenNapel might know something. I think there was a member on here that was selling a Saturn beta of Earthworm Jim 2 several years ago. Segafreak_NL, if I am not mistaken. I think it was the same as the one already online, but if you want it for collection purposes then that's a possibility. I have a faint memory of one or two Earthworm Jim 2 prototypes being sold on another site long ago. I think they were Genesis cartridges and one of them still used placeholder sprites for Jim from the first game. I think the seller had a really high asking price, around $1000. I can't seem to find anything online about it so maybe I'm remembering wrong. Maybe someone else knows what I'm talking about? As for contacting Doug, I have talked to Mr. TenNaple before and he more or less is not too focused on Jim. He basically stated he has moved on since Jim. Unfortunate, but at least he is doing what he loves. Yes, Bramsworth was one of the buyers of the genesis prototype by Dreamtr. It turned out it was very close to the final if not a review copy. Now about the proto using old Jim sprites as placeholders is a real neat discovery! In fact, there are 2 videos on youtube that depict that. Do you remember who may own it? I can't remember the user or the site and I can't seem to find it with google. The only other thing I can remember was other users complaining at the original seller for not dumping the rom. It was so long ago, I might even be confusing it with another memory. Maybe I'm remembering incorrectly and the sprite differences were from the users speculating and not from the seller's description? Sorry I'm not much help. Sad to hear Doug has moved on, but I guess that's for the best. If he doesn't have anything, then maybe other developers might know something. Have you tried asking any of the producers or programmers that worked on the games? It was playing on a Test Tool, so likely just a DVD-R... Would love to find a copy of it though! Wow I had almost forgotten about this page! Anyone else have any new leads? While waiting for assembler to heh reassemble (promotion pending) I found a Jim 2 snes prototype being auctioned on ebay. The seller said it was a preview copy. I'm not exactly sure if it was the same one that was dumped years ago or possibly different. I can't really say anything regarding to it. I lost the bid. Sorry Psycho I did not reply, this may have been close to when Assemblergames went under hiatus. That's a shame that you only got a standard reply. Boy that would be a rarity to find and hopefully dumped of the EWJ PSP edition. Unfortunately as of now, all we can do is hope that some kind soul would do something about it. According to the screenshot posted, looks very final, but won't know for sure until it is either dumped or resold. Let me know if you know of any leads or have other information to share! Thanks!